We are delighted to announce the launch of our brand new brochure. 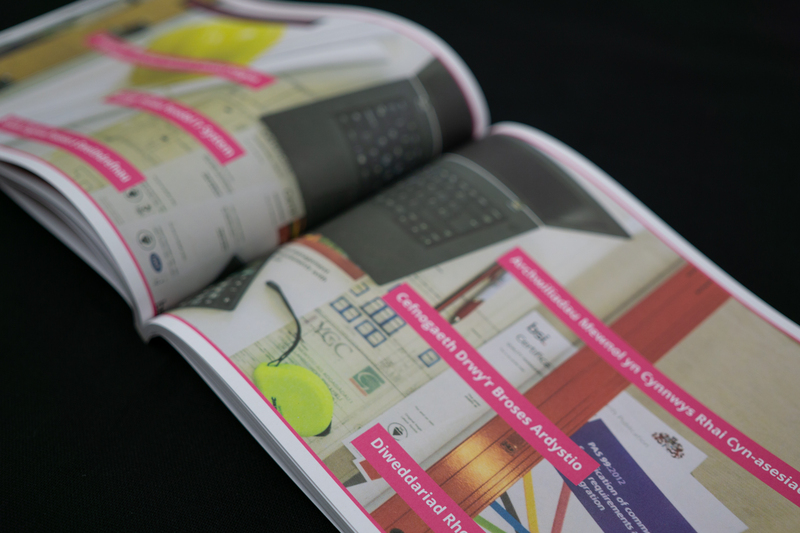 We are proud that the brochure has been printed on 100% recycled paper, this is something that we’d agreed, very early on at the design stage, incorporating our environmental values. “a lot of hard work has gone into gathering the relevant information from the different services that we offer as a consultancy. I would like to thank all the staff that contributed to bringing together the information about their teams”. 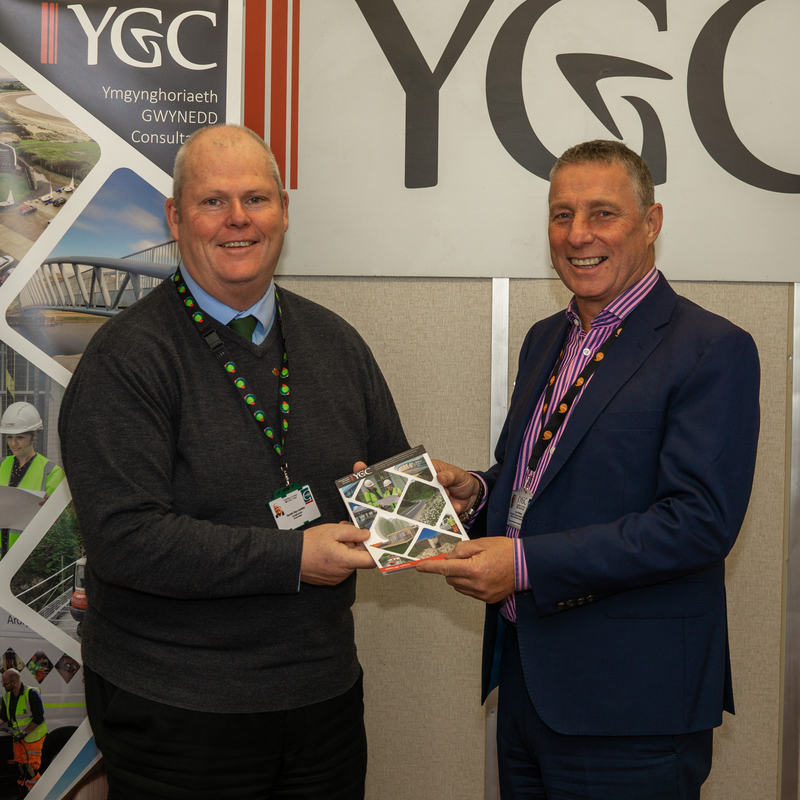 Huw Williams (Right) Head of YGC presents Councillor Gareth Griffith, Gwynedd Council Member (Left) with a copy of the brochure. 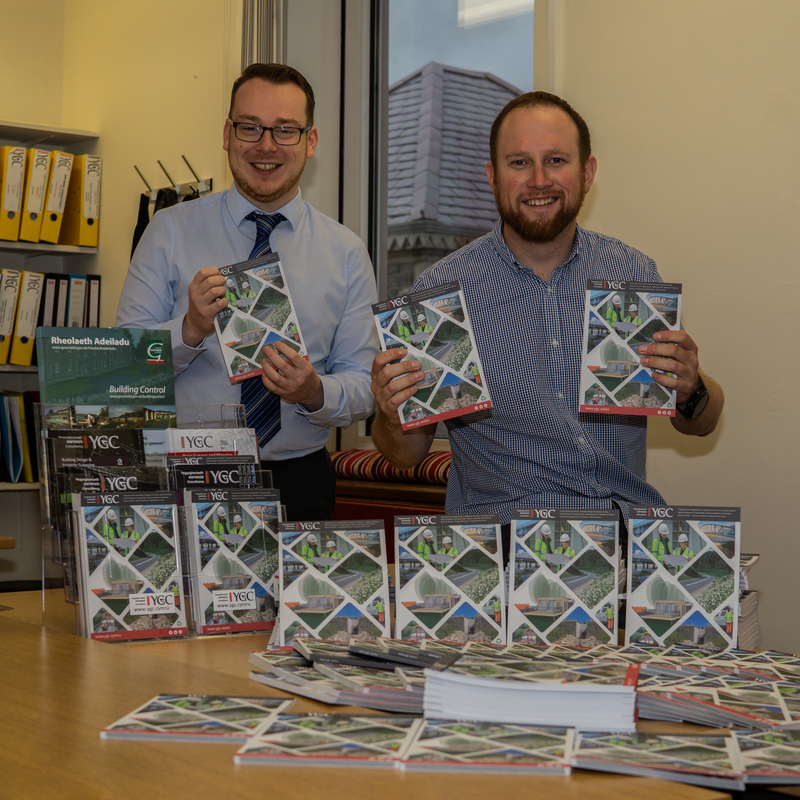 Sion Jones (Left) Business Development Manager and Graphic Designer Elgan Jones (Right) with copies of the new brochure. “I would like to thank Huw Williams for presenting me with a copy of the new brochure. 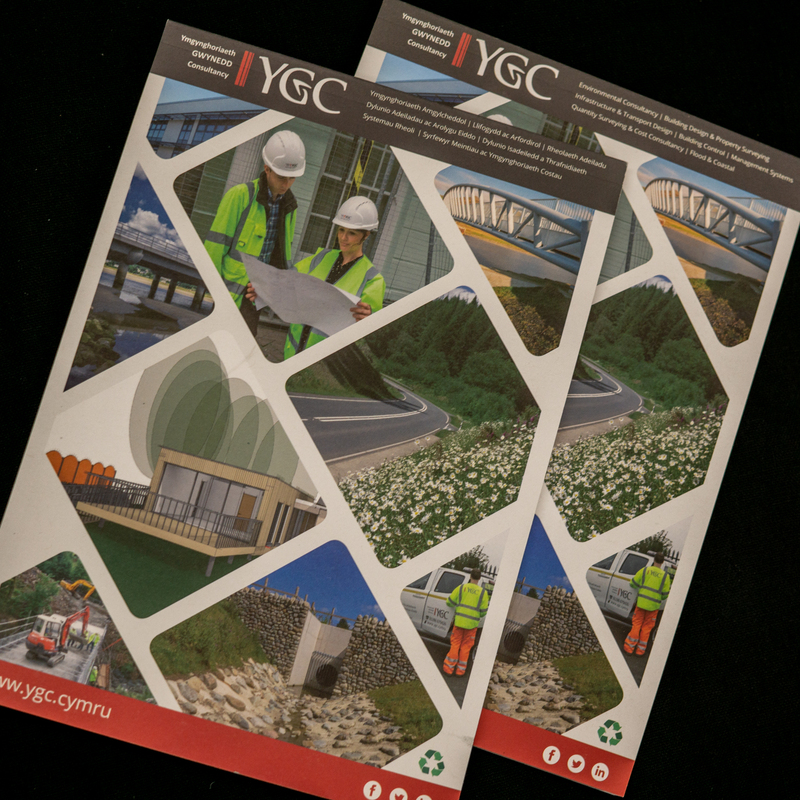 I am very pleased with the design and hope it will allow YGC to showcase their areas of expertise across many sectors”. If you would like to receive a free copy, please contact us by email, over the phone, or collect a copy from Siop Gwynedd at Caernarfon, Dolgellau or Pwllheli.